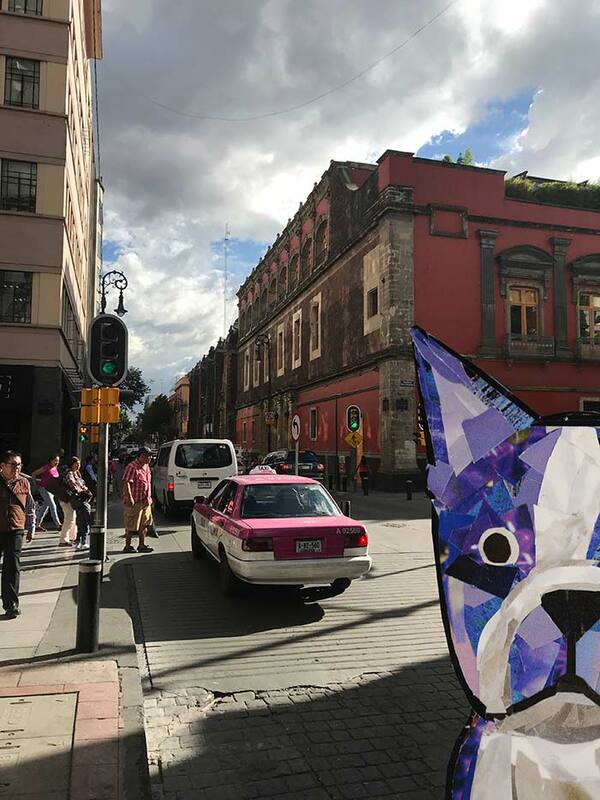 Bosty wanted to travel to another country, so he hopped on a plane to Mexico City. 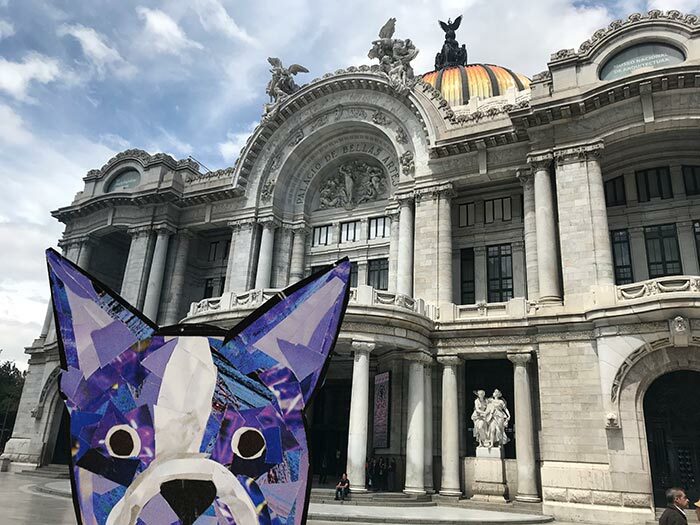 He started off his trip wandering around the streets, swinging by places like the Placio de Bellas Artes to check out the latest art exhibits. Afterwards he did some exploring and snapped pictures of interesting buildings. 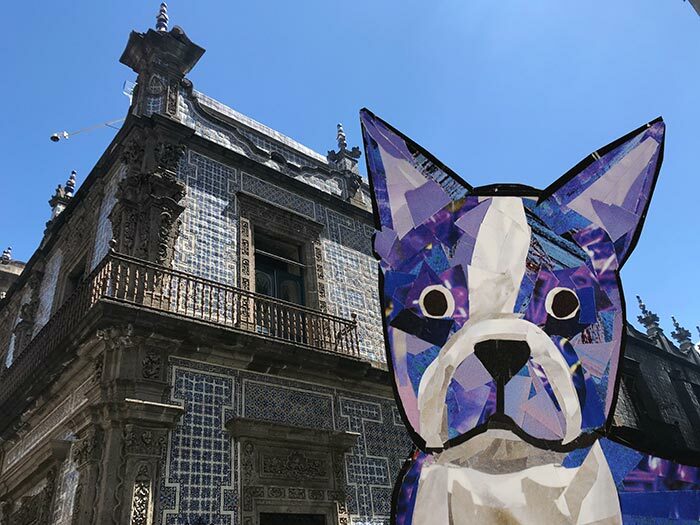 He especially liked the House of Tiles (Casa de los Azulejos) with the intricate pattern of tiles on the building’s exterior. 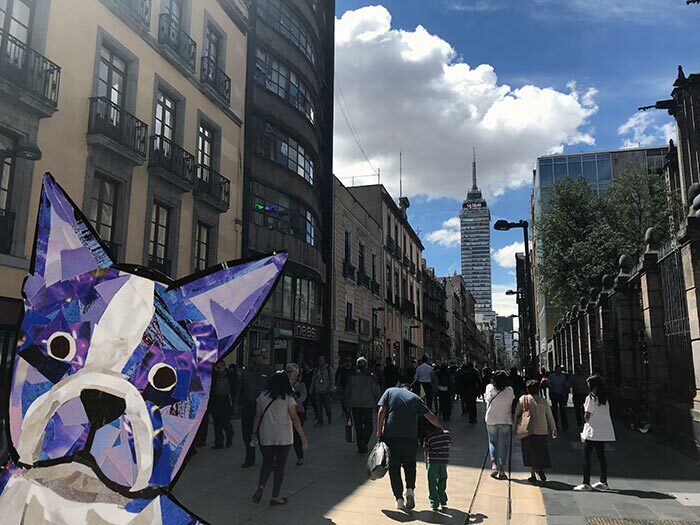 He had so much fun learning about a new city and hearing everyone around him speaking Spanish. 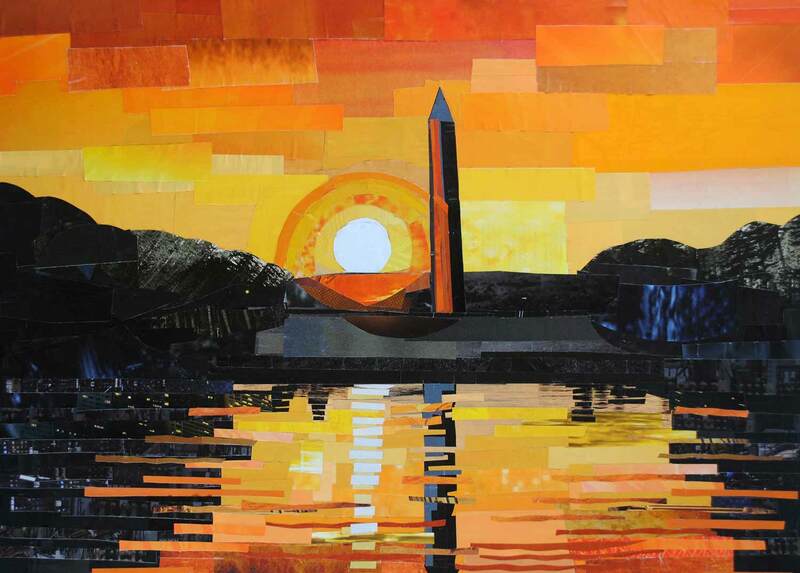 It was wonderful being in a place that was so different when compared to his home in the U.S. The Centro Histórico was a great place to take in the sights. Bosty liked how this one building was decorated and ready for celebrating. He liked how colorful the streets were, with some buildings that were painted bright colors. And he was amazed by how many beautiful public areas were in the city, some filled with unusual and unique sculptures. 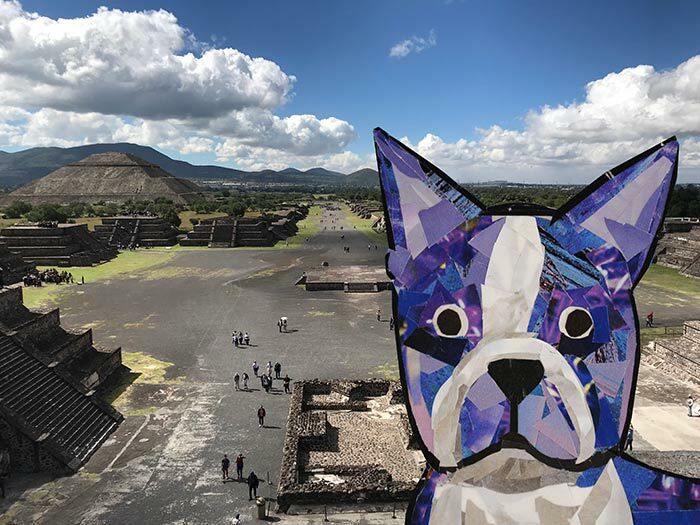 The next day he went on a day trip to Teotihuacan to visit the pyramids. 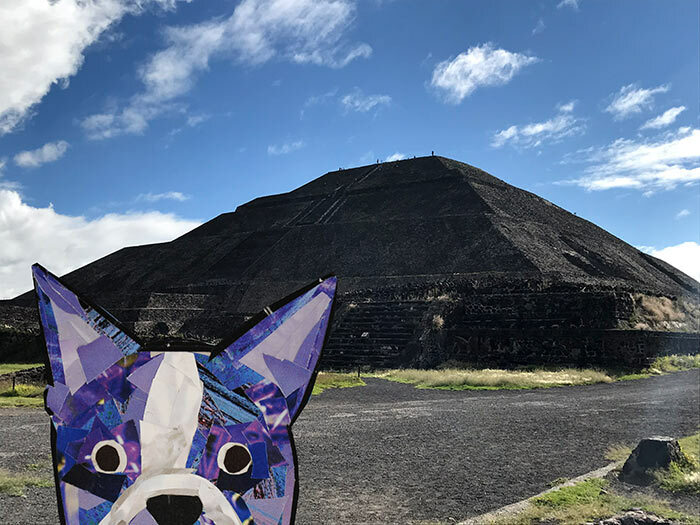 He was pretty proud of himself for hiking up and down the Pyramid of the Sun. The following day, Bosty continued to sight-see as much as he could. 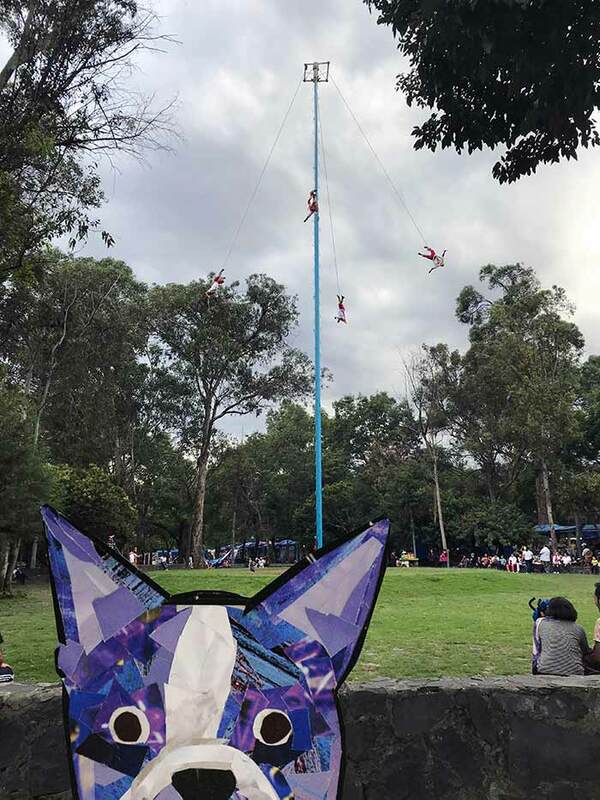 He even got to see the pole flyers and their Dance of the Flyers (Danza de los Voladores), which was an exciting experience for a tourist. 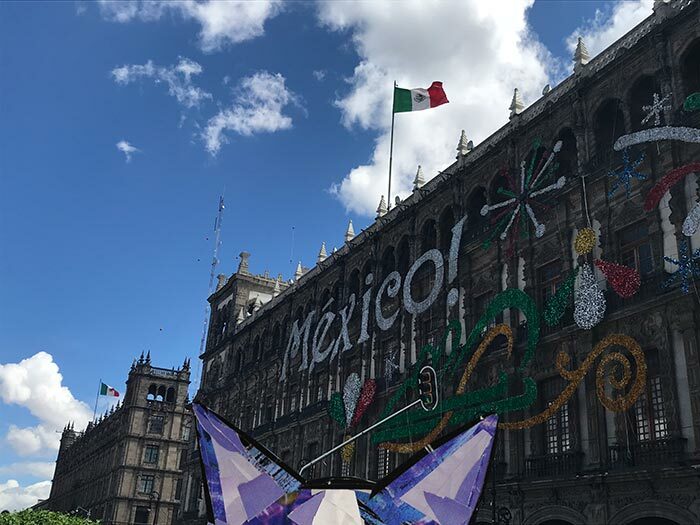 He ended his trip by swinging by a couple of museums. 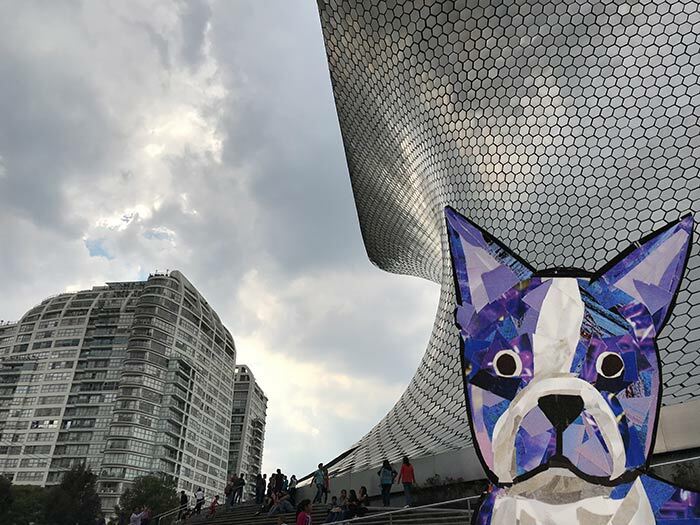 One of his favorites was Museo Soumaya, which had an incredible art collection. 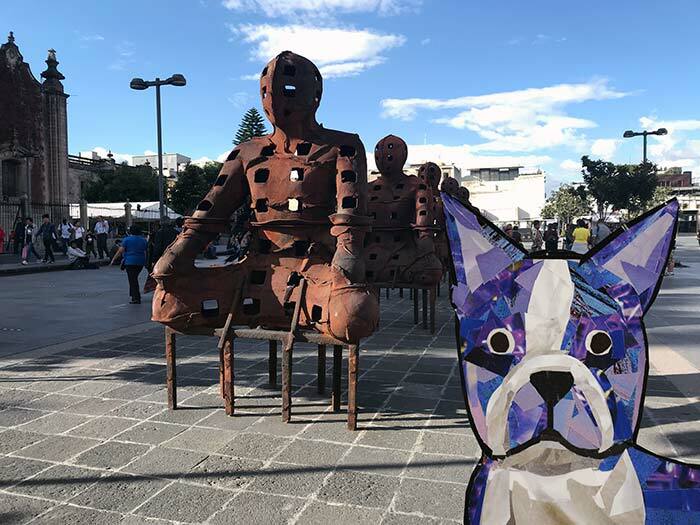 Bosty couldn’t believe how many works of art they had – he could have easily gotten lost in the museum for hours, just admiring all that artwork. 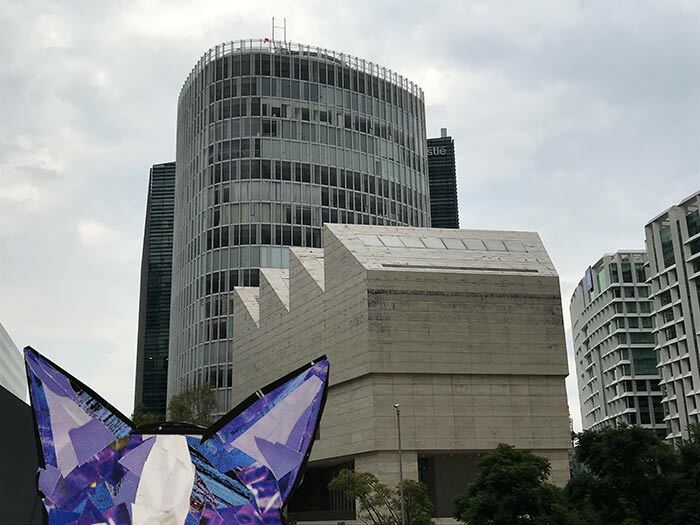 Next he strolled around the Museo Jumex to see a couple of their modern art exhibits. He liked how the building sort of looked like a factory drawing. Overall, Bosty was pleased with his excursion and really enjoyed getting to know a new place.